The Castle of Uzzano in its present form is essentially a typical Renaissance villa with a double-columned façade of white plaster and pietra serena. There are a few remains of the original rectangular mediaeval watch tower. The italianate garden was restored in the 18 C with the addition of a double staircase and some statues. Uzzano was a castle of relatively small dimensions that, in 1269, was deprived of its towers and walls at the hands of the Ghibellines. However, these defences must have been reconstructed in the first half of the 14 C when Uzzano was recorded as a castle (castrum) associated with a parish church (pieve) named San Martino and endowed with a stone wall and a gate. It was depicted as such again at the end of the 16 C in a drawing executed for the Florentine magistracy of the Captains of the Guelphs, in order to be transformed into a villa during the course of the following century. Today it is possible to discern only a few features of the ancient fortifications incorporated into the huge new structure designed by Andrea di Cione, known as l'Orcagna, and successively reshaped and widened. The few remains are still imposing in their effects and consist of small blocks of sandstone placed in regular rows. The presence in an angular, truncated tower of small sandstone blocks, datable to between the second half of the 13 C and the first half of 14 C century, possibly corresponds to the successive reconstructions following the destruction of 1269. The bastion that supports and consolidates the lower part of the walls definitely constitutes a later addition. The windows opened through the walls are all of even more recent date. The inner part of the Castello di Uzzano, which it is approached through a rusticated portal with round arches, coeval with the modern reconstruction of the entire complex, is rendered of great interest by the courtyard with porticos on four sides, finished with pietra serena pillars of remarkable elegance. The castle of Uzzano is famous for having provided the family name of the celebrated Niccolò di Giovanni da Uzzano, who, in Florence in the first years of the 15 C, vainly opposed the unstoppable rise of Cosimo de' Medici. 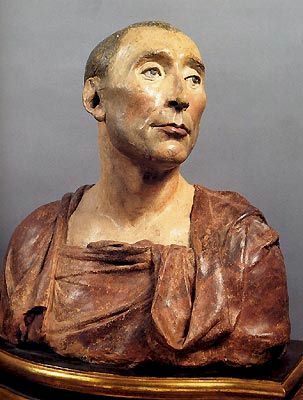 The first lord of the Castle of Uzzano was Ranuccio dei Migliorelli whose descendants took the name Uzzano but did not especially distinguish themselves until 1359, the year when Niccolò di Giovanni da Uzzano, much loved for his honesty and good government, was born. He became immensely rich and important parts of his life were spent contending with the power of the Medici. 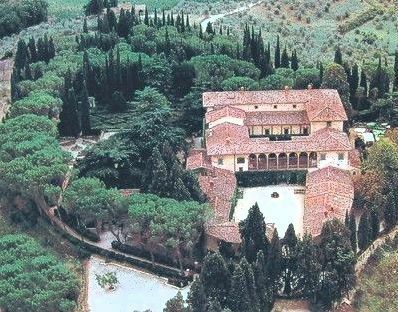 In 1999, Christie's sold the entire furnishings of the villa for $3.5 million but less than half of the wine sold, a reflection of the decline in its quality in the years leading up to the sale. The sale was reported at the time to be the largest house sale in Italy to date. More than 2,500 Italian and international bidders vied for rare furniture, paintings, books, silver and porcelain collected by generations of the Da Uzzano, Masetti da Bagnano and Castelbarco Albani families. The vineyards and wine production, conducted under the name Castello di Uzzano, have no connection with the villa which now belongs to a private individual. The current wine production is sold at an outlet near the bridge on the outskirts of Greve in the direction of Florence. Pictures and descriptions of famous gardens at villas located in the Chianti and Tuscany countryside. 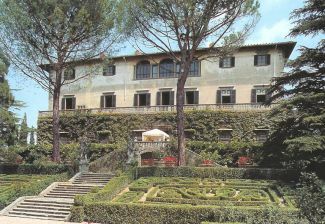 Pictures and descriptions of some of the most famous villas located in the Chianti and Tuscany countryside. Basilicas, Abbeys, Monasteries, Hermitages and Parish Churches of Tuscany.